Participants explore what it takes to be an effective school leader using a strengths-based approach. This module introduces participants to a values-based leadership framework as they take a deep dive into the relationship between authenticity and effective leadership. This module commences with an exploration of one’s own preferred style of communication and the impact of one’s style on others. The module moves on to focus on effective communication and influencing at different levels interpersonal, team, and organisational. During this module participants explore the practical implications of managing diverse and challenging groups. Participants examine the qualities shared by high-performing teams and identify effective strategies to foster cultures that support optimal teamwork. This module supports participants to provide feedback and motivate their team to exceed performance expectations. Participants identify key principles of performance management in order to ensure consistency with organisational objectives. This module also explores techniques involved in coaching others and building individual capability. This module focuses on the leadership skills involved in driving innovation and change. Participants critically discuss the application of relevant theory and explore the way in which innovation and change are inextricably intertwined. Participants then examine leadership challenges during times of crisis, gaining an understanding of the way in which leaders can build an agile and resilient organisation. Participants undertake a capability assessment to evaluate their ability and confidence in key areas. Results from this simple assessment support each participant to develop a personal action plan to help them achieve their developmental objectives. During the program participants enter into a peer coaching/ mentoring partnership with a co-participant. The peer coaching/ mentoring process is an important element within the program enabling participants to hone their skills as role models and mentors within their school. 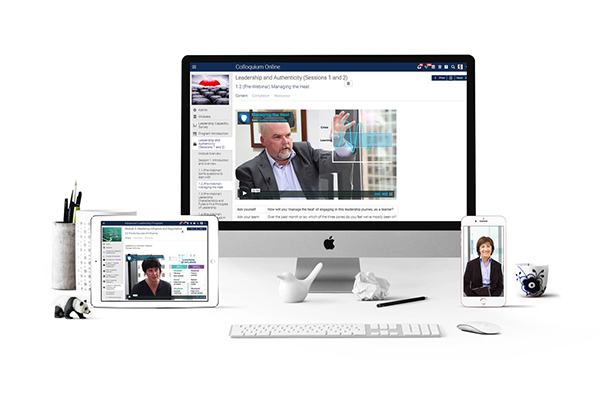 Throughout the program participants engage in seven live online sessions, focused on rich discussion and debate, relevant to each topic area. Accessible from any mobile or desktop device, and conducted outside of regular classroom hours, these sessions create a regular connection point enabling collaborative exploration of key ideas and concepts. Throughout the program, self-directed learning content is accessible via our state of the art online learning management system (LMS) allowing participants to engage with it at any time from any device. Content includes high quality video tutorials, ‘best practice’ leadership literature, experiential activities and reflective tasks. Throughout the program, participants are also free to connect with each other 24/7 via the LMS and discuss ‘top of mind’ issues. The Lead and Expert Teachers Colloquium has been developed to meet the needs of lead and expert teachers and teachers in positions of added responsibility or exercising leadership in other capacities. Admission into the program is at the discretion of the NESLI Admissions Committee. practices as an influencer and leader. "The Leading Teachers Colloquium was very informative. There was plenty of time for self-reflection, and I discovered a lot about my personality and way of thinking. The ability to break down pre-conceived ideas was very worthwhile, and I was instantly able to apply what I learnt on the course in the workplace. Without a doubt the more you put into the course the more you are going to get out of it. I loved the ‘buddy’ system which allowed me to reflect and bounce ideas off a classmate. Finally, NESLI’s support team were exceptional – they checked in with me regularly, ensuring I was supported and getting as much out of the LTC as possible." The Lead and Expert Teachers Colloquium is an integrated seven-month leadership program designed to address the leadership and interpersonal challenges associated with a leading teacher position. 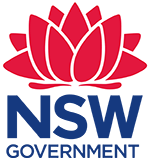 Completing the Colloquium will contribute 36 hours of NESA Registered PD addressing 5.2.4, 6.3.4, 7.1.4 from the Australian Professional Standards for Teachers towards maintaining Lead Teacher Accreditation in NSW.